A new mirror won't show a reflection unless you flash it a smile. 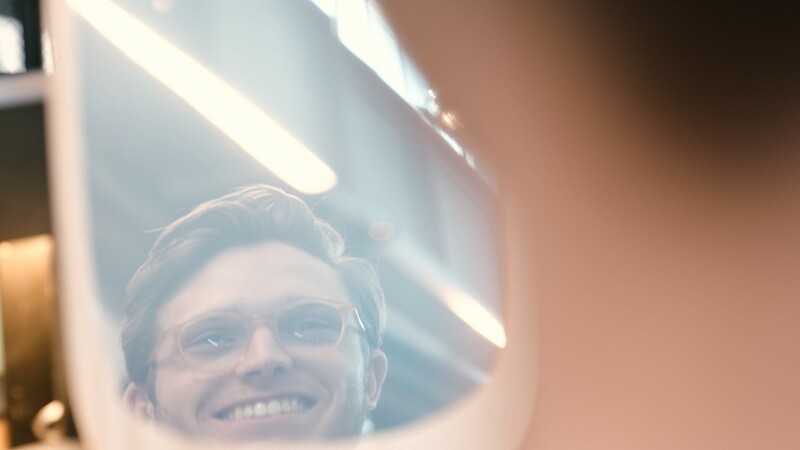 The concept may seem playful, but industrial designer Berk Ilhan invented the Smile Mirror to uplift the spirits of cancer patients. The plug-in device looks like a tablet with a built-in camera and an opaque surface made with a smart material triggered by proprietary software. It includes facial recognition technology that captures the face. The surface becomes reflective, like an traditional mirror, when it recognizes a smile. Just like a conventional mirror, it can hang on the wall or sit on a table. Ilhan, originally from Turkey, spent two years designing and developing the product. While attending the School of Visual Arts in New York for a master's degree, he conceptualized a portfolio of products aimed at improving the quality of life of cancer patients on an emotional and social level. 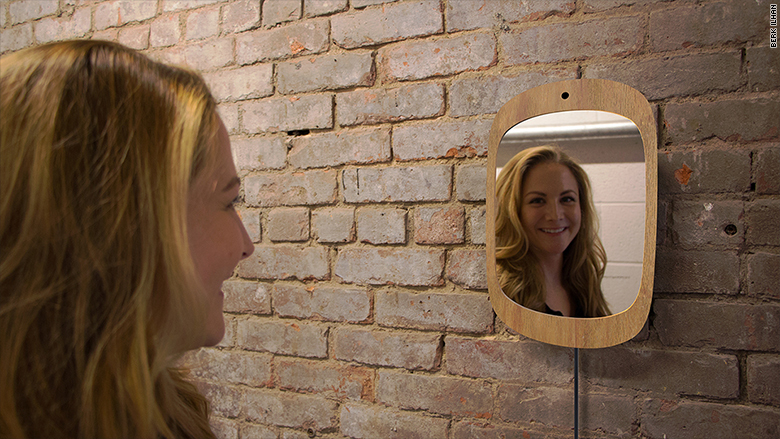 The Smile Mirror is a plugable device with an opaque surface. It features facial recongnition and patent-pending smart technology. He spent a few weeks at various cancer hospitals in Turkey speaking with patients, oncologists and caregivers. "I learned morale and social support are two very important factors that can positively change a patient's experience," Ilhan told CNN Tech. He honed in on laughter, calling it a "powerful tool." Research indicates smiling and laughter can decrease stress and boost the body's immune system. The Smile Mirror turns into a reflective mirror only when you smile into it. 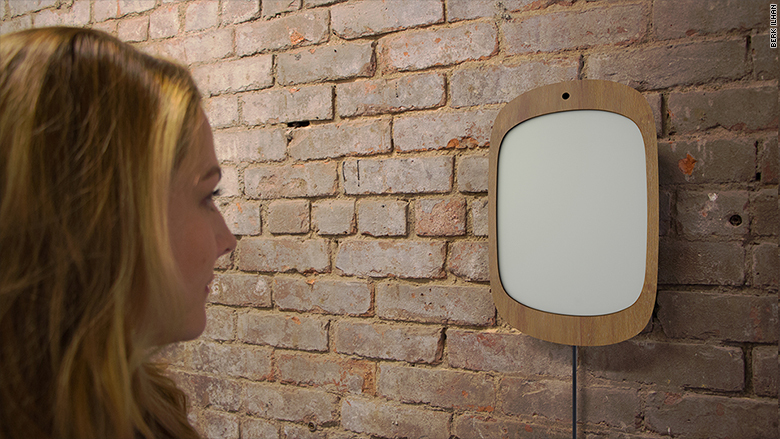 The Smile Mirror was inspired by Ilhan's conversation with a cancer survivor. "She told me in the first days after her diagnosis, it was difficult for her to look in the mirror and acknowledge she had cancer," he said. "Our facial expressions affect how we feel. If we flex our facial muscles to smile, our brains think that something good happened and as a result, [we feel] happiness." Ilhan is currently producing the Smile Mirror in limited quantities. The price, however, is expensive. As of now, it costs between $2,000 to $3,000. But the product will soon launch on crowdfunding platform Kickstarter, where Ilhan hopes to raise enough funds to produce it in larger quantities and bring down the price to under $500. Ilhan's goal is to donate Smile Mirrors to hospitals. He intends for it to appeal to larger audiences. "Anyone can buy one," he said. "If you give it to someone, you are gifting them a smile."